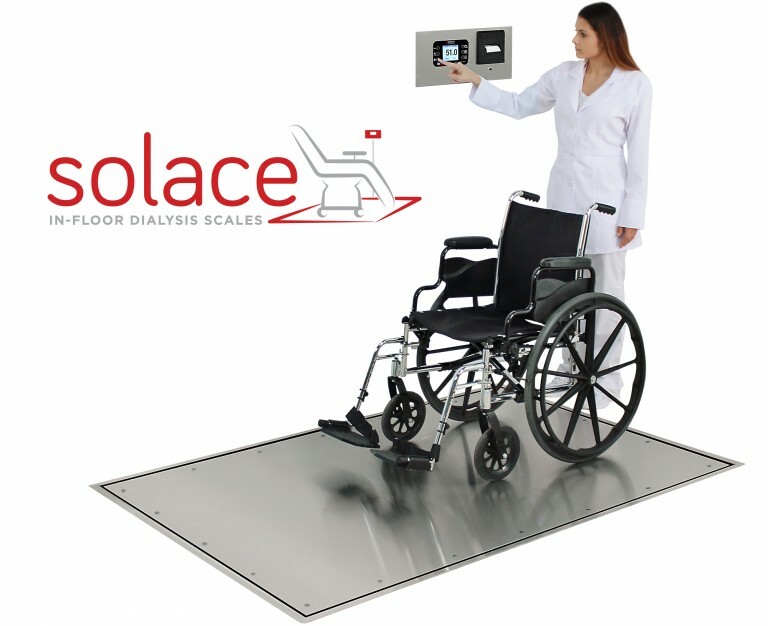 DETECTO’s Solace series USA-made in-floor dialysis scales are flush-mounted platform scales that feature stainless steel decks and include a pit frame, trim ring, and interface cable to the included multi-color, touchscreen LCD indicator and printer. The flush surface eliminates tripping hazards and hallway accessibility issues. 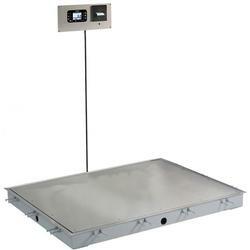 DETECTO’s Solace series in-floor scales are covered with durable stainless steel to provide years of maintenance-free use. The built-in thermal printer makes it easy to print out a weight record for patient recordkeeping. 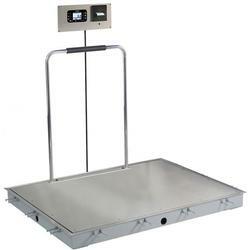 In-floor scales comes with model 855RMP digital weight indicator/ printer combo, pit frame, scale, stainless steel deck, and trim ring. Custom sizes and configurations are available.